Luxury cruise line Seabourn dropped a huge bomb on both the culinary and cruise industries today, announcing that they've partnered with mega-star Thomas Keller on new menus and an upcoming restaurant. Luxury cruise line Seabourn dropped a huge bomb on both the culinary and cruise industries today, announcing that they've partnered with mega-star Thomas Keller on new menus and an upcoming restaurant. Starting this fall, the Per Se and French Laundry chef will create menus for three of Seabourn's ships: Odyssey, Soujourn and Quest. 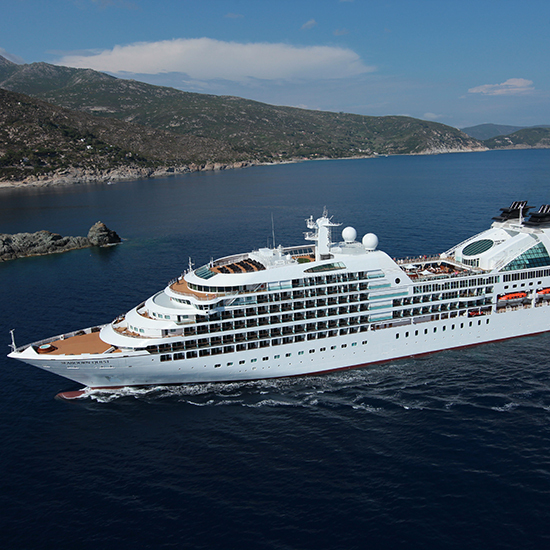 Keller is also overseeing an entirely new restaurant that will debut in spring 2016 before rolling out to each of Seabourn's ships, including two brand-new vessels debuting in 2016 and 2018. The line's chefs will travel to Keller's culinary lab in Yountville, California, for hands-on training in the chef's notoriously high standards (and hopefully, how to roll a perfect salmon cornet). The partnership is the latest in a game of culinary one-upsmanship luxury cruise lines having been playing lately, and it's sure to be a huge draw for the line, which is already known for its strong dining program. No word yet on if Keller will go onboard for any cruises, but we're keeping our fingers crossed for the sight of the legendary chef trading in his chef's whites for sailor stripes.